For over 30 years, we've been an active member of the community, supporting good causes both locally and abroad. 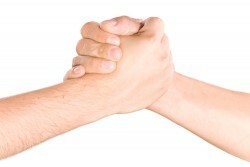 We help out by providing manpower and cash donations to aid good causes both locally and overseas. We help a range of charities and organisations such as Barnardos, Amnesty International, Medecins Sans Frontieres, Lifeline, Wheelchairs For Kids and UNHCR to name a few. Our aim is to make a positive contribution to both the local and global community through our contributions of free plumbing and electrical work and monetary donations. Read on learn about some of the great causes we support. Plumber to the Rescue has been proudly supporting Barnardos for over 10 years by providing them with charitable free plumbing services. Barnardos is one of Australia's leading child protection charities. They work hard to strengthen families, encourage participation in the community, and pursue social justice through their unmoving motivation to change the lives of young people across Australia. For over 130 years, they have been putting disadvantaged and vulnerable children first, finding real and permanent solutions to ensure that children and young people have the chance to be loved and nurtured. They help children to build relationships with each other, their families and the community, encouraging them to voice their issues and be heard. Plumber & Electrician To The Rescue was thanked this month by Barnardos Children’s Charity. For well over 10 years we have been providing free plumbing & electrical work to the Auburn Children’s Family Centre. Tim, the owner operator of Plumber To The Rescue says "the staff at the Barnardos Auburn Centre are the most caring people around. The work they do helping children & their families who are suffering is heart warming. They deserve all the help we can give them and their clients". If you want to help a good cause, this one is hard to beat. Amnesty International is a premier global movement of people campaigning to protect human rights. Started by UK-based lawyer Peter Benenson in 1961, Amnesty International have worked tirelessly on a number of fronts to protect the interests of disposed, marginalised people, and defend ordinary folk from human rights abuses. Benenson’s initial vision of a world in which no one is imprisoned, tortured or executed because of religious, political or other views has grown to a movement of over four and a half million members. Working hard across the world to promote human rights and defend against abuse, there’s been countless trials and successes since the organisation’s birth in 1961. Over the last fifty odd years, Amnesty International have pushed governments and corporations around the world towards greater accountability for human rights abuses. Dignity, justice, freedom, equality and a fair go are at the centre of Amnesty International’s ethos, truly independent of any government, business, religious or political group. As the world’s largest human rights organisation, Amnesty International is on the frontlines protecting everyday people in the twenty first century. With the heightened stress of refugee movements, the development of conflict zones around the world, Plumber To The Rescue is proud to support Amnesty International in their work defending human rights. It’s easy to get involved supporting Amnesty International and making a real global difference. Officially established in 1971, Médecins Sans Frontières have helped over a hundred million patients around the world. An international organisation not linked to any government or business, fiercely and proudly independent, Médecins Sans Frontières offers aid to patients based on need, irrespective of race, religion, gender, or political affiliation.Impartial and neutral, Médecins Sans Frontières doctors prioritise medical service in crises above the interests of disparate parties including governments, businesses and other groups. Médecins Sans Frontières is a neutral and impartial humanitarian organisation. It aims first and foremost to provide high quality medical care to the people who need it the most. In 2014, Médecins Sans Frontière carried out more than eight million outpatient consultations, delivered 194,400 babies, treated more than 2.1 million people for malaria, provided over 200,000 mental health consultations, registered 229,900 HIV patients under care, conducted more than 81,700 surgeries, treated 46,900 people for cholera, and vaccinated almost 1.5 million against measles and more than 75,100 against meningitis. As you can see, the work of Médecins Sans Frontières is vital. Plumber To The Rescue is proud to support this organisation, and invites you to get involved too! Lifeline provides frontline mental health, suicide prevention and crisis support services over the phone for an Australian every minute. Lifeline believes most suicides are preventable, and is committed to a whole-community approach to preventing suicide in Australia, in which everyone plays a role. By reducing stigma, promoting awareness, and building a climate for access to care and provision of care by Lifeline and the wider community, Lifeline envisages a suicide-free Australia. Lifeline receives over one million contacts from help seekers each year. The Lifeline telephone service – 13 11 14 – provides a confidential, non-judgemental service offered by trained telephone crisis support volunteers. We are proud to support Lifeline at Plumber To The Rescue. Their work really does change and save lives. 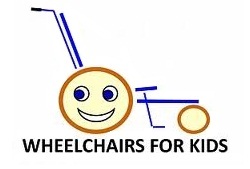 Having donated over 32,248 wheelchairs since 1998, Wheelchairs For Kids began in the Rotary Club of Scarborough, WA. A volunteer workforce of over 150 persons, mostly retired people, Wheelchairs For Kids provide, build and refurbish up to 300 wheelchairs per month for poor, disabled children in developing countries. Over 50 million children need wheelchairs around the world, according to Wheelchairs For Kids CEO Gordon Hudson. With, on average, three thousand wheel chairs produced per year by Wheelchairs for Kids, there’s still a massive gap to plug. That’s why Plumber To The Rescue is so proud to support this important work! The office of the United Nations High Commissioner for Refugees was opened on December 14, 1950 by the United Nations General Assembly. Under its mandate, the organisation leads and co-ordinates international action to protect the wellbeing of refugees and asylum seekers, and resolve refugee problems worldwide. UNHCR strives globally to ensure the right to seek asylum, and find safe refuge in another country, with the option of returning home voluntarily, integrate locally or resettle in a third country is protected. Since 1950, the organisation has helped tens of millions of people get a new start. More than 9,300 staff work in 123 countries to help and protect the millions of displaced persons, returnees, internally displaced people and stateless people. With two Noble Peace Prizes to its name, UNHCR is a globally respected institution with a long history of helping those who need it the most. Working hard across the world to protect the interests of refugees, with thirteen million refugees of concern to UNHCR in 2014. Among the biggest operations are services provided in Afghanistan, Colombia, Democratic Republic of the Congo, Mali, Pakistan, Syria, Jordan, Lebanon, Turkey and Iraq. We’re proud at Plumber To The Rescue to be able to say we support refugees across the world by supporting UNHCR with regular donations and fundraising campaigns such as our fundraiser for Nepal to support relief work during the 2015 earthquake disaster. Cystic Fibrosis (CF) NSW is our state’s division of Cystic Fibrosis Australia. CF affects a child born every four days. The life expectancy for a person with CF is so low, that most won’t live past 40. This is much lower than the median life expectancy of 80.3 years of men, and 84.4 years for women. CF causes a range of related conditions – shortness of breath, regular bouts of bronchitis and pneumonia, crippling stomach pains, poor digestion and a variety of bacterial infections and lung problems. Cystic Fibrosis NSW seeks to alleviate the effects of CF through building a base of support for research, for treatment of people living with CF, and for community and public awareness of how to better and best support people who have the condition. With the debilitating effects of CF so apparent, this work is life-saving, and works towards improvements in the quality of life of people with CF. Cystic Fibrosis NSW holds numerous events throughout the year to raise awareness and funds for their work and the work of the Children’s Hospital at Westmead – including the 65k 4 65 Roses Walkathon, the Crazy Hair Day, and a number of other fundraising and awareness initiatives. We’re proud to support Cystic Fibrosis NSW, and would love it if you’d check out their website here to see what they’re all about, and consider supporting this work.